Prostate issues are some of the most common conditions men suffer from as they age. Some of the most common prostate conditions include prostate cancer, benign prostatic hyperplasia (BPH, or an enlarged prostate), or prostatitis (a prostate infection). The best way to prevent these prostate conditions that occur with age is to live a healthy lifestyle. This may include getting regular physical exercise and maintaining a well-balanced diet. There are also a number of alternative and natural ways to promote better prostate health regardless of whether a man is already showing signs or symptoms of a certain condition or disease. If a man is already showing signs or symptoms of a prostate condition, there are things they can do to help relieve the symptoms, prevent the condition from getting worse, or even help treat it. This can be helpful as an alternative option when it comes to conditions that may be difficult to treat such as chronic prostatitis. This condition is a painful inflammatory condition that often difficult to treat. In some cases, the usual method of treatment using antibiotics does not always work effectively. Therefore, altering your diet and lifestyle and trying out various alternative and natural treatments may be the next best option in order to find relief from your symptoms. Drink green tea. Green tea is one of the best things to drink to improve prostate health as it boosts immunity and is loaded with antioxidants. Research shows that green tea can help with prostate cancer and may even help slow the growth of aggressive prostate cancers. It is also helpful when it comes to benign prostatic hyperplasia and prostatitis due to its anti-inflammatory properties. The catechins found in green tea can promote normal prostate size and reduce a man’s risk for BPH and improve urinary function. Another good tea to try for improved prostate health is hibiscus tea. Caffeinated or decaf? When choosing tea, make sure to choose caffeine-free tea.Caffeine can irritate the prostate and the bladder. If you are suffering from urinary symptoms as a result of a prostatitis, caffeine can make these symptoms worse and more painful. If you have BPH or prostatitis, aim to reduce your caffeine consumption by drinking less caffeinated drinks like coffee and soda. This can significantly improve your urinary health. In addition to tea, make sure to always drink plenty of water – at least six to eight glasses a day. Get exercise. 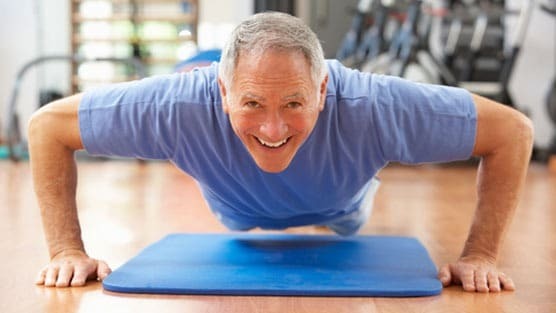 When it comes to prostate health, staying physically active is essential. Exercise can improve your overall health as it helps you to lose weight if necessary and improves heart health. Losing weight may be helpful in reducing symptoms of certain prostate conditions or diseases as the added weight can put pressure on the prostate and bladder which can cause urinary problems. Excess weight has also been linked to a higher risk of developing aggressive prostatecancer. For improved prostate health, men should aim to get at least thirty minutes of moderate or vigorous exercise on most days of the week. Exercise may also reduce the risk of developing BPH and urinary tract symptoms. If you are overweight or obese, exercising and losing weight is one of the best ways to improve prostate health. Eat a healthy, mainly plant-based diet. Eating a healthy diet that is rich in prostate-friendly foods is essential for improving prostate health. What we consume has everything to do with our overall health. Some of the best diets for a healthy prostate include the Mediterranean diet, which includes eating mostly plant-based foods such as fruits, vegetables, whole grains, legumes and nuts. And instead of using salt, using spices and herbs to flavor foods. Another healthy diet is the diet consumed by Asian countries, which rich in fish and plant-based sources of protein. Both diets are also low in sugar, saturated fats, and processed foods, which happens to be largely consumed in the Western diet of the United States. Some healthy foods for improved prostate health include vegetables, tomatoes, avocadoes, walnuts, fish high in omega-3 fatty acids such as salmon, nuts, olives, and pomegranate juice. Try prostate-healthy supplements. It can sometimes be difficult to get all the vitamins and nutrients the prostate needs from food. In this case, you should talk to your doctor about taking prostate supplements that may help you get the remaining vitamins and nutrients it needs. Supplements that may be helpful for improved prostate health include saw palmetto, vitamin d3, zinc citrate, pygeum, and green tea leaf extract.